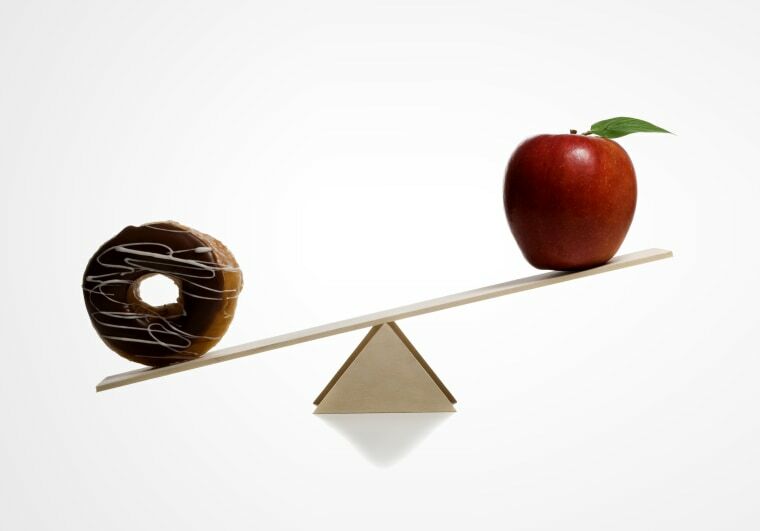 Ask a dietitian: Are all calories created equal? A calorie is a calorie, right? Science suggests otherwise. Q: Does it matter what I eat? A calorie is a calorie, right? A: The short answer is no. It’s nice to think that food is a level playing field — that there’s just food, neither good, nor bad. But you don’t even have to scratch far below the surface to see that the science suggests otherwise. A strong case can be made that certain foods promote weight gain and increase the risk of a wide variety of health problems ranging from allergies to heart disease and certain types of cancer, while other foods diminish these risks. Let’s take weight. Though you may be able to lose weight on any number of plans, eating certain foods may give you an advantage. One study comparing differences in metabolism among a small set of adults eating two types of grains — either refined carbs, like white rice, pasta and bread or whole versions, with the entire grain intact — found that people eating the whole grain versions of these foods reduced their calorie intake by about 100 calories a day. What’s interesting is that outside of the grain type (and therefore, fiber amount), other elements of the diet, such as calorie levels, and total fat, carb and protein amounts, were similar. The calorie loss after eating whole grains was due to both a slight metabolic boost as well as some extra calorie excretion, pointing to the fact that these two foods have a very different impact on your body. In another trial that estimated food intake, changes in lifestyle and weight fluctuations among more than 120,000 people over the course of 20 years, food patterns associated with weight gain emerged: People whose diets included more servings of potato chips, potatoes, sweetened drinks and red and processed meats gained the most weight — an average of about 17 pounds over the course of the study. In other words, these foods seem to drive weight gain. On the other hand, some foods (including fruits, veggies, nuts, whole grains, and yogurt) protected against weight gain. More evidence came this year after a study compared dieters’ success with weight loss following either a low fat or low carb diet. At the end of the study, neither diet proved more successful — dieters lost similar amounts of weight on both. But different weight loss advice materialized: Both groups were instructed to up their veggie intake; cut down on added sugars, refined, flours, and trans fats; and select minimally-processed whole foods whenever possible. Rather than focusing on specific calorie targets, dieters were given advice on selecting quality foods, and with this advice, both groups lost substantial amounts of weight. Over and over, research shows that certain foods lower the risk of disease, and repeatedly, the harms of refined grains, sugary drinks and overly processed foods are documented in studies. A newer area of research adds more strength to the case. The trillions of bacteria in our gut (collectively known as the microbiome) serve to strengthen our immunity and promote better wellbeing, but diet (as well as other factors, including medication use) can influence the diversity of bacteria species that are present. An imbalance of harmful species may increase the risk of obesity, memory problems, allergies, type 2 diabetes, anxiety, inflammatory bowel disease and more. We’re in the very early stages of understanding the microbiome and its role in health and wellness, but we do know that eating a variety of fiber-rich whole foods from fruits, vegetables, whole grains, beans, nuts, and seeds, can promote good gut health. One study compared the bacterial species among different populations and found that a typical American diet (which is notably low in fiber) is linked to a less diverse microbiome, with imbalances in bacteria that may promote a wide range of diseases. Alternatively, enriching your diet with fiber-rich fare might shift these imbalances towards more health-promoting species. Determining what to eat can be confusing. There’s no shortage of advice coming from all directions —television hosts and doctors, food celebrities, Instagram influencers, your office cube mate, etc. And while it’s been said that labeling foods as “bad” can trigger guilt and shame upon eating them, suggesting that all calories (or foods) are created equal might not help the eight in 10 people who say they’ve seen conflicting information about what to eat and report feeling confused. Eating is complex and we all eat for many reasons: taste, hunger, social and environmental cues, and the pursuit of health are just a few. These factors are interwoven — we don’t just eat food for the fiber, vitamins and minerals it provides. Food is a central part of celebrations and religious observances, and gathering around food provides a chance to connect with family and friends. To suggest that some foods are better than others isn’t meant to rob the joy out of these occasions or imply that you should never eat purely for pleasure. Are your morning eggs good for you? It's complicated. The goal in providing more information (and less spin) isn’t to criticize anyone for what’s on his or her plate, but to help guide decisions about what to eat to boost wellbeing. Knowing that a food is less healthy might prompt you to eat it less often, but that doesn’t mean you have to write it off entirely. It just means there’s an opportunity to explore the good foods and find ways to eat them that are delicious and enjoyable to you.